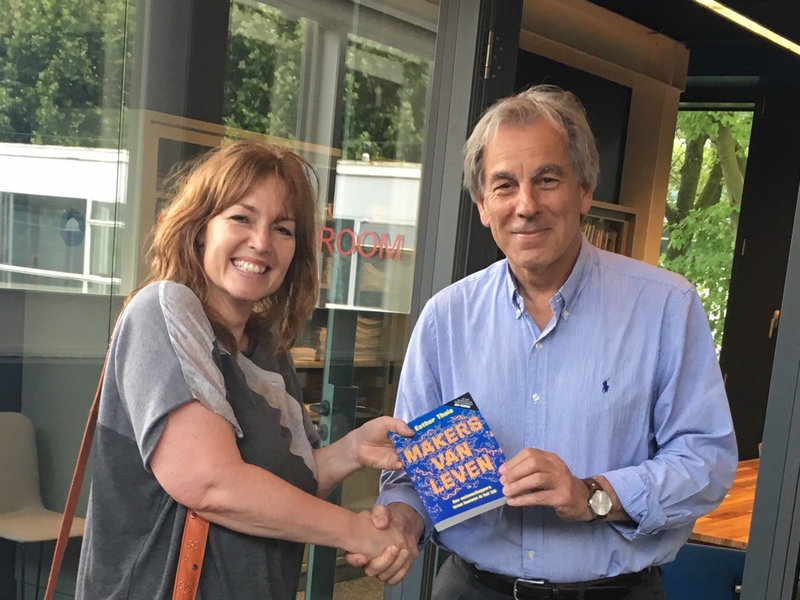 The first copy of ‘Makers van Leven‘ by Esther Thole (science journalist and editor at NEMO-Kennislink) was handed over to prof. Bert Meijer in Eindhoven. The book includes a preface of prof. Ben Feringa and addresses the complex question of ‘What is life?’ and ‘How can we imitate life’. 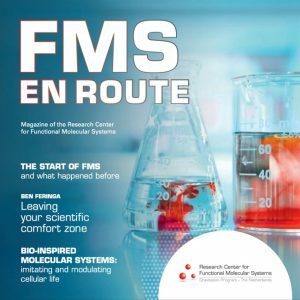 Esther Thole discusses with many chemists, including FMS staff members, the exciting journey to find the fundamentals of life. 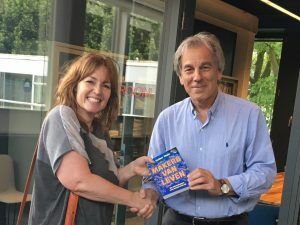 The book (in Dutch) is now available and the official book presentation will be held Wednesday June 27 at 8 pm in NEMO Science Museum in Amsterdam. More information about the book can be found here.